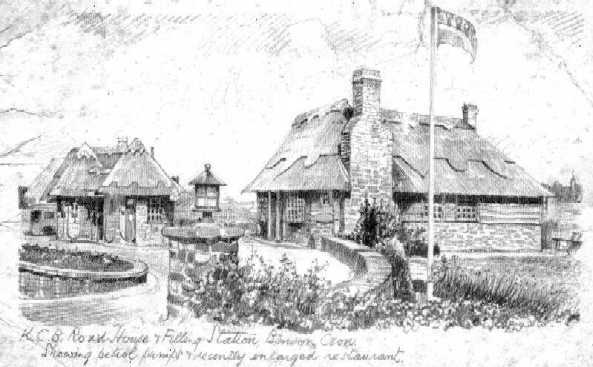 - Castle Inn - (BS0043) On the left is Walter's Garage, which replaced the stables of the inn. 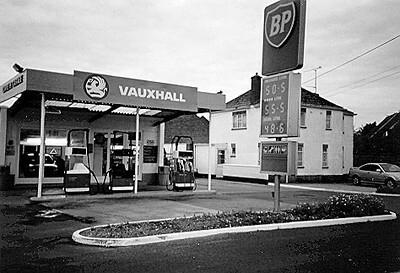 - Petrol Station - (BS0087) Known as KCB - That is "Keep the Countryside Beautiful". See also BS088 & BS372 below. Also under "Cafes" for more photos. Lost when the runway was extended in 1940. 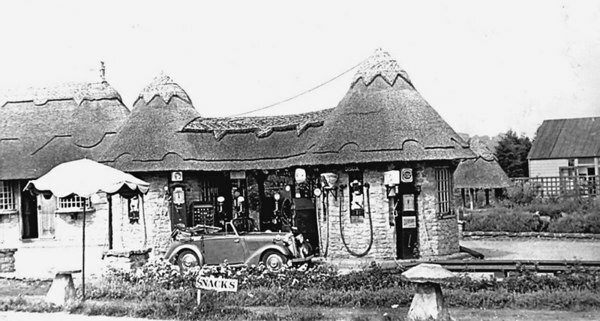 - KCB Petrol Station & Cafe - 1942 - (BS0088) See detail on this contemporary postcard. - Wharton's Garage - 1945 - (BS0179) Frank Wharton Garage and Taxi on site of present Taylor's Garage. Originally built as a cycle shop by Frank Yard. - Fire at Wharton's Garage - (BS0517) On site of present Taylor's Garage. Thought to be 1940s. The Wharton’s left the village in a hurry for no known reason. 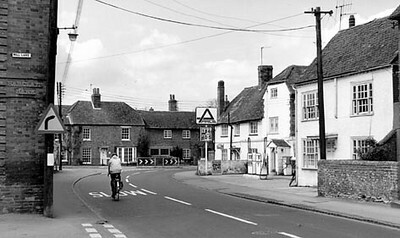 - Junction Mill Lane onto the High Street - (BS0534) Date probably 1970s. 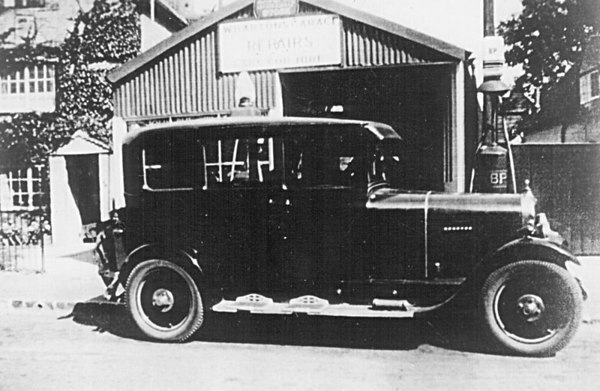 Note the Wharton’s garage is long gone, replaced by The Benson Garage, run by Mr John Taylor, and in the 21st century by his son Martin. 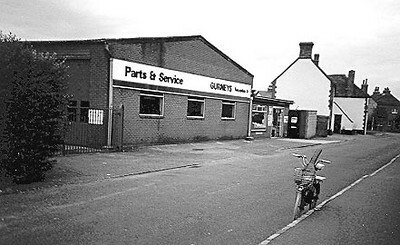 - Gurney's Parts & Service Dpt - (BS0549) Chapel Lane in 1993. 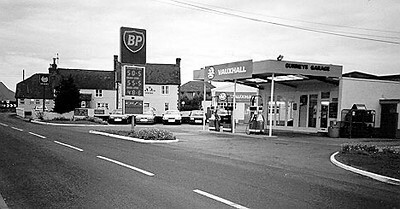 - Gurney's Garage - (BS0550) Watlington Road, early 1990's. See “Benson – A Century of Change” page 58. 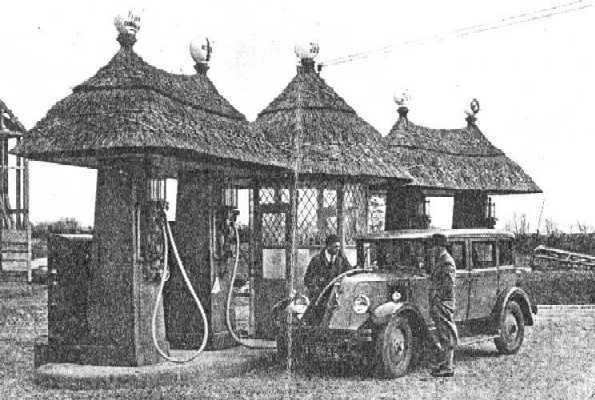 - KCB Filling Station - 1930 - (BS0372) The beautiful thatching would not pass 21st century regulations!